According to Mayan Mythology, the days when the gods were still mortals existed a love so deep and pure that its strength created the sun and the moon, the days, the nights and the stars that shine above. IxChel is the Mayan moon goddess, the Conch Pearl legend. She is the mystery and joy of female sexuality. The mother of earth and all life, patroness of the healing arts, weaving, childbirth, and destiny. Also, she is sometimes called “Lady Rainbow”. 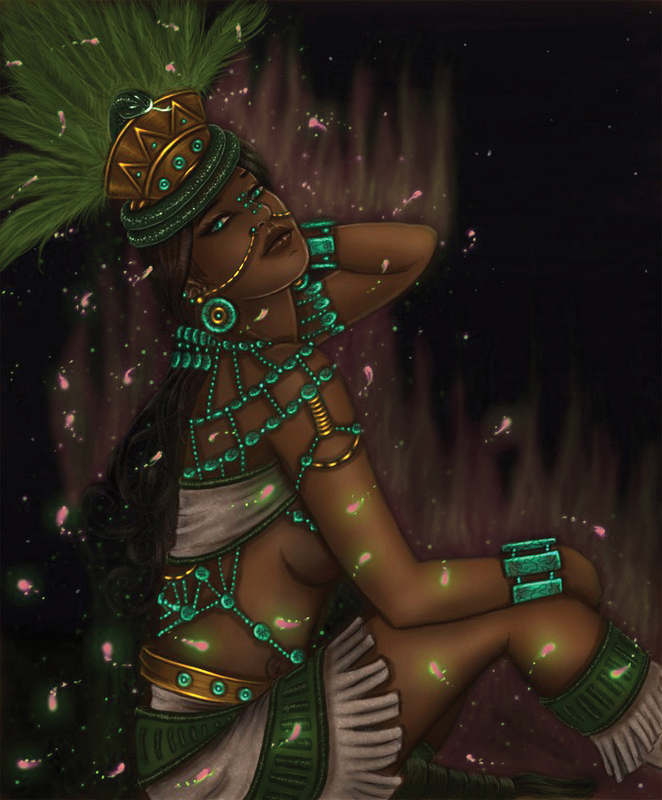 Goddess IxChel was almost too beautiful. Therefore, all the gods were captivated by her. The legend says that Conch Pearls were actually part of IxChel inner beauty. She hid in the ocean to protect her. May human find one, he or she will encounter a love as intense as the one between the sun and the moon. In conclusion, conch pearls represent the ultimate beauty, captivating humankind.